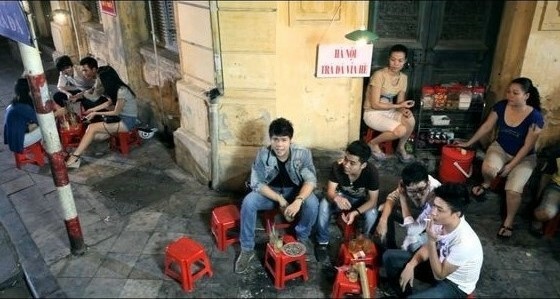 Unlike many countries where street drinking is illegal, Vietnam has its own street drinking culture. 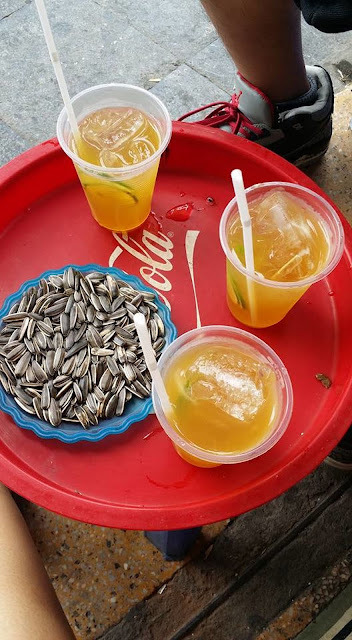 In big cities like Hanoi, when it comes to iced tea and sugar cane juice, drinking on the pavement or in the park is the thing to do. 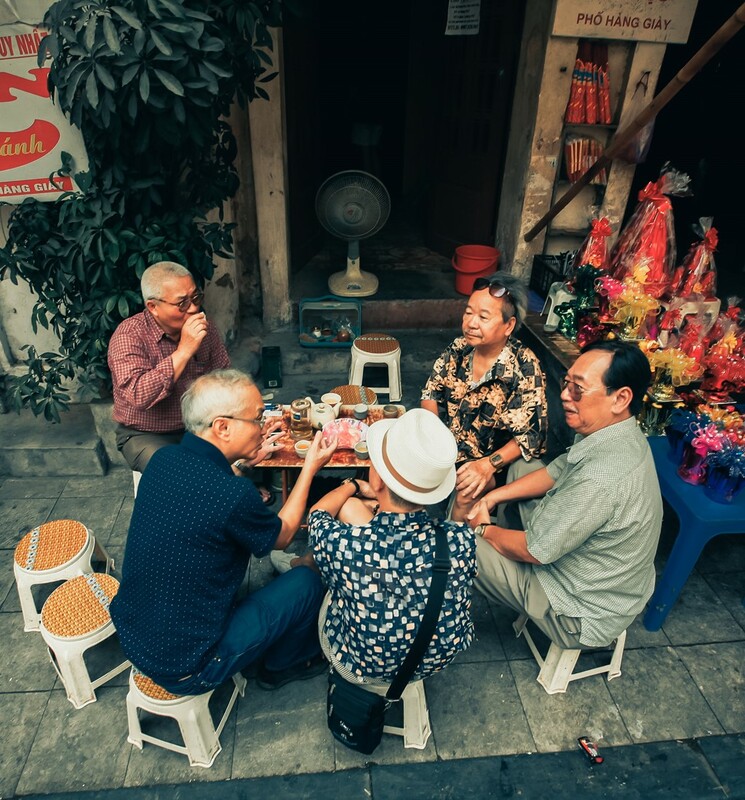 Throughout Hanoi, streets and parks are alive with food and drink stalls, inviting those seeking for quick refreshments or those wanting to chew the fat for a few hours with friends (though the latter depends on your willingness to sit on tiny stalls. If you've ever wandered the streets of Hanoi, you ever spent a student's lifetime on the land of Thang Long-Hanoi, the thousand-year-old that "it" is not unfamiliar, even very familiar, but not easy to recognize. By "It" is too simple, idyllic, a village of Vietnamese culture remains strong and is living in the heart of the city. "It "that I want to say here is " iced tea in sidewalk", even some researchers of Hanoi culture refers to it as" Culture iced tea - Culture sidewalks". Iced tea in sidewalk appeared from early morning to late at night. Sidewalks have spacious, "view" beautiful, located near the center, convenient for watching the road, watching people, vehicles travel. No need to sign, would not need desk, iced tea in Opera House, The Church, Tran Nguyen Han, ... The area around St Joseph’s Cathedral is also an ideal place where you can sip on tra chanh while taking in the fantastic view of the old church. Other places in Old Quarter can be found on the corner of Hang Bac and Hang Ngang Street. Expect to pay around 10,000 VND, possibly more in the tourist areas. On summer evenings, flows of young people gather at trà chanh (lemon green tea) shops in Hanoi’s Old Quarter not just to drink but also to shoot the breeze. Over a glass of lemon green tea, youngsters can chat the entire evening. Not only people in Hanoi, tourists arriving from any place to the land are interested popular culture is unique. Saigon people who love the simple but warm tea of sidewalks. Foreign visitors are surprised and excited encounter people with suits, western shoes full of chatting and drinking cups of tea and where the streets are bustling. Simple as that, but iced tea sidewalk habit is nostalgia of the people away from Hanoi and is a curious urge to explore with visitors coming to thousands years culture of this land.